Say hello to my new favourite thing in the whole wide world! I've wanted to try some products from Limecrime for what feels like forever, so when I was in America this summer I ordered a lipstick in the shade D'Lilac and a nail polish in Parfait Day (review coming soon!) I was so excited to receive the pretty purple parcel and rightly so, over 2 weeks on and I still haven't thrown away the packaging! 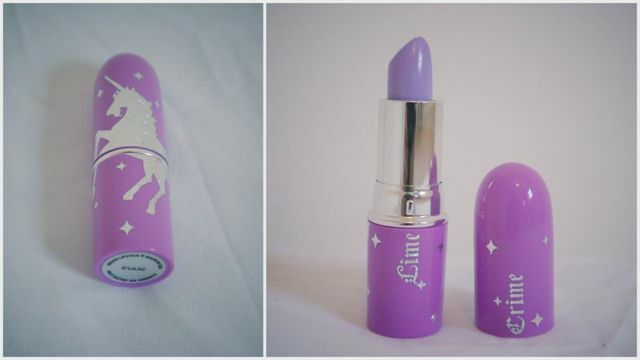 I love this lipstick, everything from the sparkly purple unicorn case to the versatility of the colour. I love wearing it mixed with a pink Barry M shade (no idea what number, sorry!) just to make it more wearable - but on it's own, D'Lilac really makes a statement! It fades to a nice pink colour and the only problem I have with it is that it goes a bit gunky after you've been wearing it for a while...but I get that with most pale lipstick shades so I was expecting it to happen. 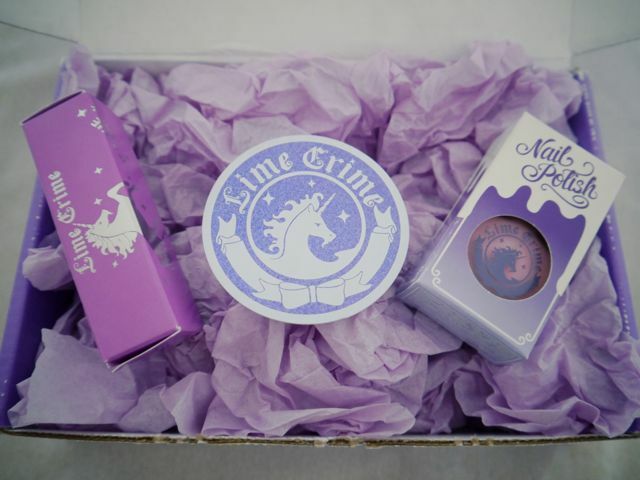 I would definitely purchase from Limecrime again and can't wait to see what they bring out in the future - have you tried any of their products yet? P.S. 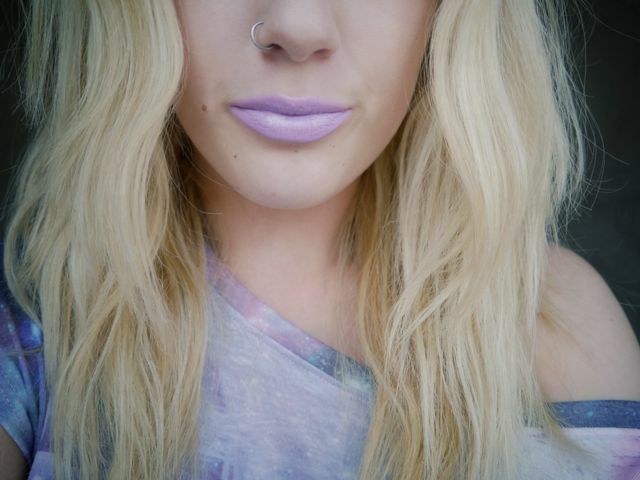 The nose ring is still fake...you can see it a lot clearer here though! That colour is gorgeous! I've been really into lavender recently.. I've never tried Limecrime but have always wanted to! It's a great statement lipstick and I love it. It's one of my favorite colors. Gorjj lippie colour!! Deffo going to have to try this colour out!! you are so brave to pull off this color lipstick! Such a pretty colour, it really suits your complexion and blonde hair, looks amazing! 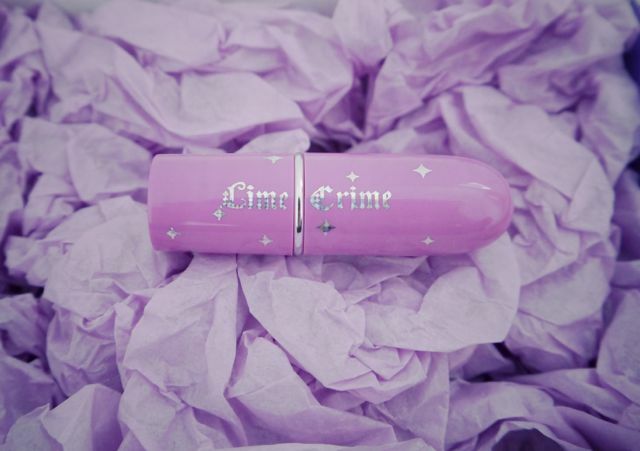 Love the packaging LimeCrime have! Such an amazing colour, it really suits you!